None of us like going to a dentist. We sometimes avoid it for years. And even though we try to take care of our teeth, there may be something going on that is out of our control, and we may not even know it. That it is why it is the number one tip on the list of ways to care for your teeth. Going to the dentist is never something we like to do. Not one of us say, “Yippee, today I get to go to the dentist”! It is though, one of the most important things you can do to ensure the health of your teeth. Visiting the dentist twice a year means that early detection of gum disease, trauma, decay or cancer can be treated before it becomes expensive and untreatable. Enduring a trip to the dentist twice a year may just save your life! The next tip for caring for your teeth is to use a soft toothbrush. A hard toothbrush causes damage to the gums, and may lead to gum disease. An old brush will have the same effect as the bent and splitting bristles hurt your gums, so change your brush once a month. Another thing to avoid is aggressive brushing. This over aggression damages teeth and gums. The proper technique is to put the brush at a 45-degree angle pointed toward the gums and brush in circular motions. Brushing twice a day is recommended. A reason to brush more than twice a day is in retaliation of the sugar treats. Brushing after every meal or snack cuts down on the acid production caused by sugary snacks that are damaging to your teeth. This goes for soda as well. It is the added citrus to that can of soda that will have a damaging effect on your teeth. Cutting out soda is recommended by doctors as it has links to heart disease, obesity, stroke and elevated blood pressure according to WebMD. Chewing gum is a great way to cut down on acid by increasing saliva. If you cannot brush or floss, chewing sugar free gum is a great solution. Flossing daily is another good way to prevent tooth loss as an adult. Flossing once before bed removes plaque and keeps your gums healthy. The Academy of General Dentistry states that flossing is the only way to remove plaque from between the teeth and below the gumline. Oral-B outlines the proper technique to floss. First they say you need 18 inches of floss, wrapped around the middle finger of both hands. Leave on to two inches of floss between your fingers. Glide the floss between using zig zag motion. Outline the tooth with the floss. Slide the floss up and down along the gum line, and use a clean piece of floss for each tooth. Avoid snapping floss as it will damage the gums. Be gentle when flossing. Smoking cigarettes is another great tip to avoid dental problems in adults. Along with causing cancer in the lungs, cigarettes can cause cancer in the mouth and gums as well. Chewing tobacco is just as dangerous as the tobacco is sitting on the gums causing damage. Avoid grinding your teeth. Stress, anxiety, an abnormal bite and missing teeth may cause you to grind, and you may not even realize you are doing it. It usually occurs during sleep, and can also be caused by the sleep disorder, sleep apnea. If you wake up with a headache or sore jaw, this may be the indicator that you grind your teeth at night. A visit to the dentist would reveal the problem and he may recommend a mouth guard to wear at night to prevent it. There are over 800 medications that lead to dry mouth says WebMD. Dry mouth can lead to gum disease and tooth decay. Tell your dentist when you are on a medication that causes dry mouth. 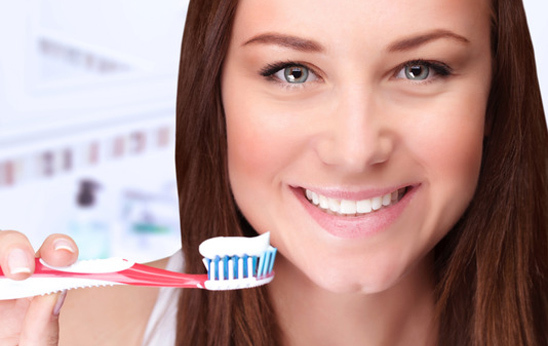 A different medication or a saliva-like oral mouthwash may be recommended.Dental care is very crucial to every person as it enhances good health and smile to the person.Take care of your teeth by following the above given tips and the rest is assured.A good dental care,a good dental health.